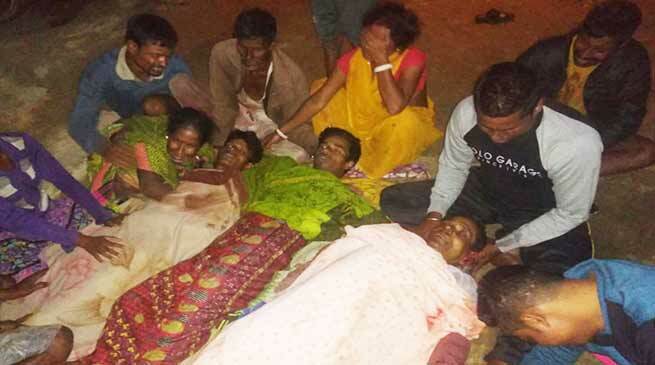 At least five youths were killed by suspected ULFA (I) militants at Kherbari village near Dhola-Sadiya bridge in Tinsukia district on Thursday evening. The youths were reportedly sitting in a shop near Sadiya town when the suspected militants picked them up and took them to the banks of the Brahmaputra river. According to police, the incident took place at around 8.55 pm, around 6 km away from the Dhola-Sadiya bridge. Police and the Army have cordoned off the area and launched a search operation to nab the culprits. The area is close to the Assam-Arunachal Pradesh border. Chief Minister Sarbananda Somowal while condemning the dastardly incident has asked the state Director General of Police (DGP), Kuladhar Saikia, and ADGP Mukesh Agarwal to rush to the incident site to take stock of the situation. Ministers Keshab Mahanta, Tapan Gogoi, DGP @saikia_kula and ADGP Mukesh Agrawal have been directed to rush to the spot and take immediate measures. I urge all to maintain peace & tranquility and pray for the departed souls. He has also asked ministers Keshab Mahanta and Tapan Gogoi to the place of violence talk to people and ensure that peace prevails. The attack comes weeks after the ULFA-I detonated a low-intensity bomb in Guwahati on October 13 to protest against the Centre’s bid to pass the Citizenship (Amendment) Bill, 2016. Four people, including a woman, were injured in the blast.